Formerly Old School Vineyards, this high elevation vineyard is 800 feet above sea level, what is considered the a viable elevation limit for growing Pinot Noir in the Willamette Valley. Diurnal variation is extreme which tends to allow the grapes to hold onto acidity. The soil is uniquely bellpine, a silty clay loam over sandstone parent material. It is the most depleted of all classified vineyard soil types in Oregon. The top soil is very thin and roots must extended very deep. The vines are not irrigated. Stephen Hagen bought the property in 1999 and planted about 21 acres of wine grapes. The vines were farmed organically and many sheep, ducks, geese, and dogs roamed among the vines. Plowing was done with two Belgian draft horses. The grapes have been purchased over the years by Antica Terra and Broadley Vineyards. 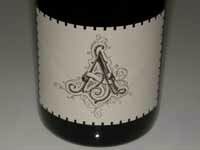 The Antiquum Farm wines are crafted by winemaker Drew Voit.